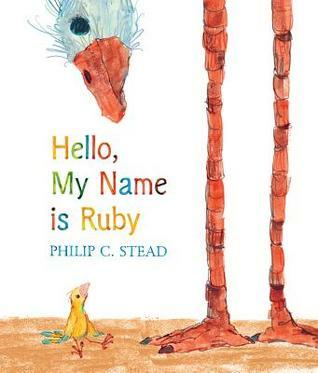 "Hello, My Name Is Ruby" written by Philip C. Stead brings a nice children book story about friendship and love presented through the adventures of one little bird. These all are reasons why in this picture book will fully enjoy children between 2 and 5 years; I can confirm that on the basis of my own experience - my little girl who with delight turns its pages while her Dad reads about the adventures of a small Ruby. Sign into Goodreads to see if any of your friends have read Hello, My Name is Ruby.